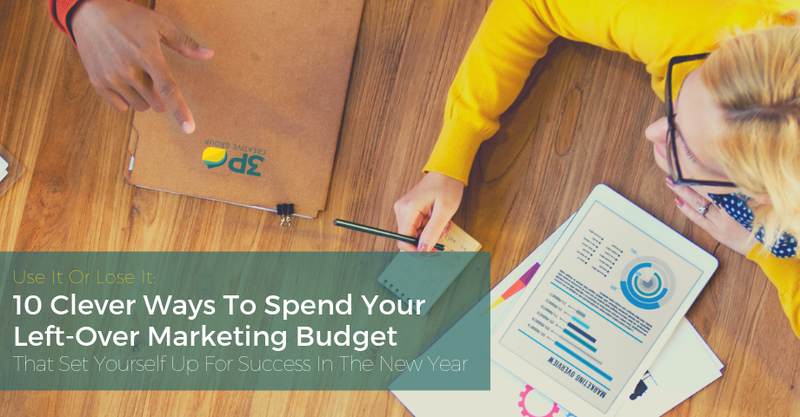 Have you recently applied for more marketing budget? Or will have to justify how your marketing spend is allocated in the upcoming quarterly review? If you have, you know it's harder than ever to get more money. 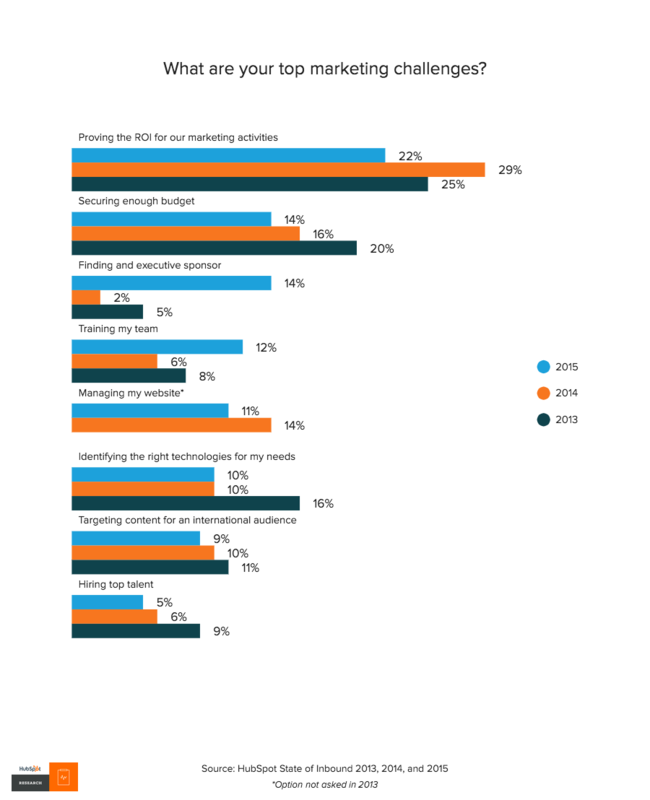 In last year's State of Inbound Marketing Survey, thousands of marketers indicated that their top challenges are to prove the return on investment for marketing activities — a requirement for getting more money — followed by securing enough budget. Not a coincidence. 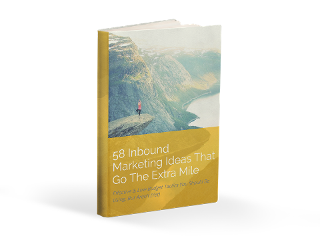 This challenge is partially responsible for the rapid adoption of inbound marketing - it is measurable, and it has a higher return on investment than traditional outbound marketing. The traditional marketing tactics return on investment is more of an estimate, e.g., when running a series of ads with different phone numbers attached to them or a survey asking how they found your product, there isn’t an exact way to trace the source of each lead. In contrast, marketers can tie the results of the efforts back to the individual campaigns, blog posts, social media updates and more with Inbound Marketing. By creating content and ways for people to convert on your pages, it’s easier than ever to see where your leads are coming from and if they are qualified. In fact, marketers who check their metrics, at least, three times a week are over 20% more likely to achieve positive ROI according to HubSpot. Which is not surprising as you can only manage what you measure. 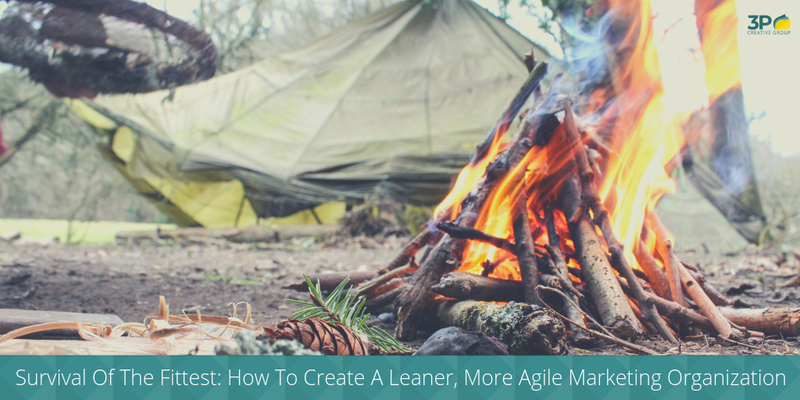 By using this software and adopting the Inbound Marketing Methodology, your marketing team knows exactly which efforts are creating results and your sales team knows the prospect before they ever make contact. Not only does Inbound Marketing allow you to more accurately measure your ROI, but it also improves it. Recently, HubSpot evaluated the impact their marketing software had on their client’s return on investment. Just this year, an MIT Sloan MBA student completed a research study, and the results were impressive, to say the least. 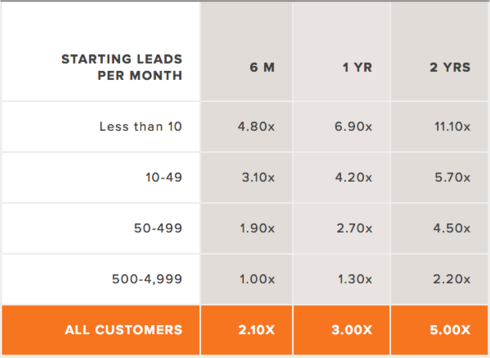 You can find out more about HubSpot specifically and the impact it can have on your company’s ROI here. To help other companies more accurately measure the band for their buck, you can also use HubSpot’s ROI Calculator. If your business is already using HubSpot software, simply enter your current metrics such as monthly visitors, monthly leads, monthly customers, and monthly sales price per customer. 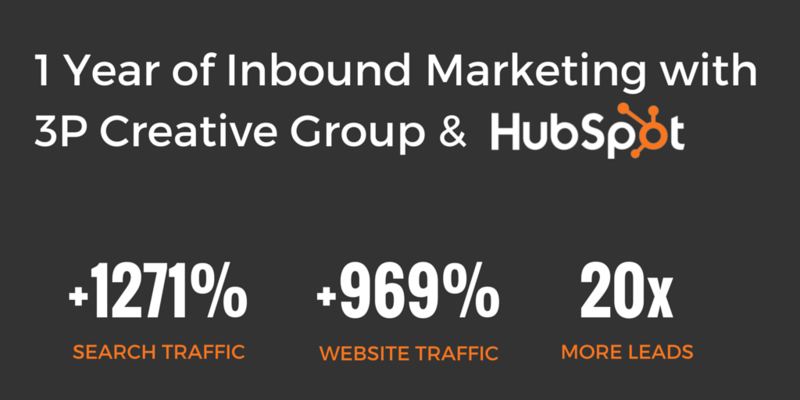 Hubspot is currently opening the 2016 HubSpot’s State of Inbound survey. Thousands of marketers, salespeople and other industry professionals will have their say. Make sure to have yours. It’ll take just 10 minutes to complete and is entirely anonymous. Want To Take HubSpot For A Test Drive? No problem, just click below to sign up for a 30-day trial - and we will even set it up for you so you can hit the ground running!